Why Hollywood insists on re-making iconic classics that are better left alone is beyond me…but if it must happen then make sure you cast a leading man that might stand a chance of living up to the original. Thus is the case with the rumored “wooing” of Tom Hiddleston for the role of Judah Ben-Hur in the upcoming MGM/Paramount adaptation of the 1880 Lew Wallace novel Ben-Hur: A Tale Of The Christ. 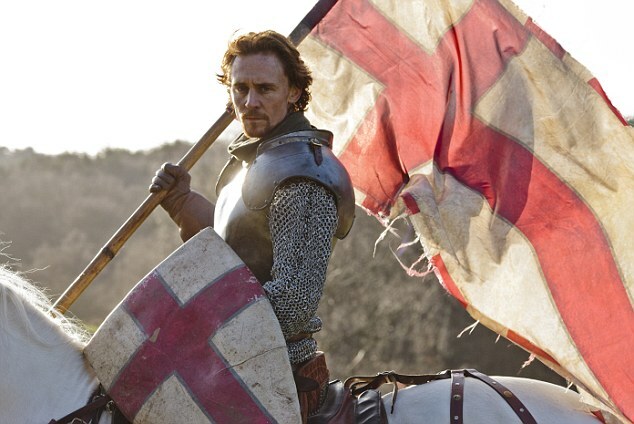 Ben Hur, will be a remake of the 1959 classic starring Charlton Heston and if anyone can step into Heston’s shoes…I’m pretty confident Hiddleston can. 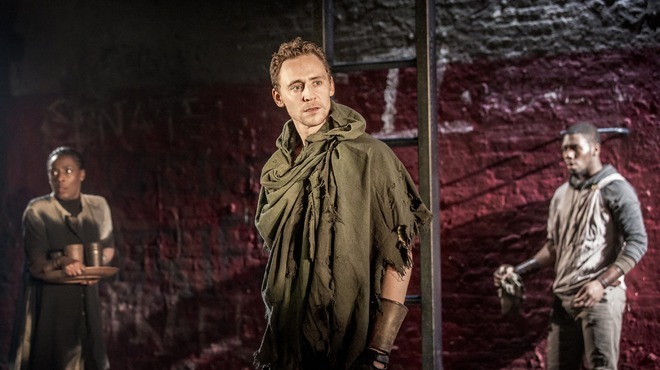 Known by worldwide audiences as Thor’s evil brother Loki in The Avengers and Thor movies, Hiddleston has proven himself to be more than just a comic-book villain with his critically claimed Shakespearean roles in Coriolanus and as Henry V in The Hollow Crown series. But don’t start picturing this gorgeous British hunk in thigh baring toga’s just yet ladies as rumor has it they’re still in the ‘wooing’ stage. (For what it’s worth…I’ll toss in a dinner at Morton’s if it’ll get him on board.) Plus MGM and Paramount will have to get in line as Hiddles has a nice long slate of projects keeping him busy before he can even report to chariot training camp, including playing Country Music Legend, Hank Williams in I Saw The Light (for that one I’ve already bought by cowboy hat and boots!) So it might be a long wait before we can see Hiddleston snapping his horsewhip around the Circus Maximus. Yep, I can picture him shirtless or in a toga…. The original Ben Hur was the most expensive film ever made up to it’s time. At $15 million dollars and made on an epic, grande scale, the movie was a huge risk for MGM Studios and ultimately saved MGM from bankruptcy and went on to win 11 Academy Awards including Best Picture, Best Director and Best Actor. This remake certainly has a LOT to live up to. 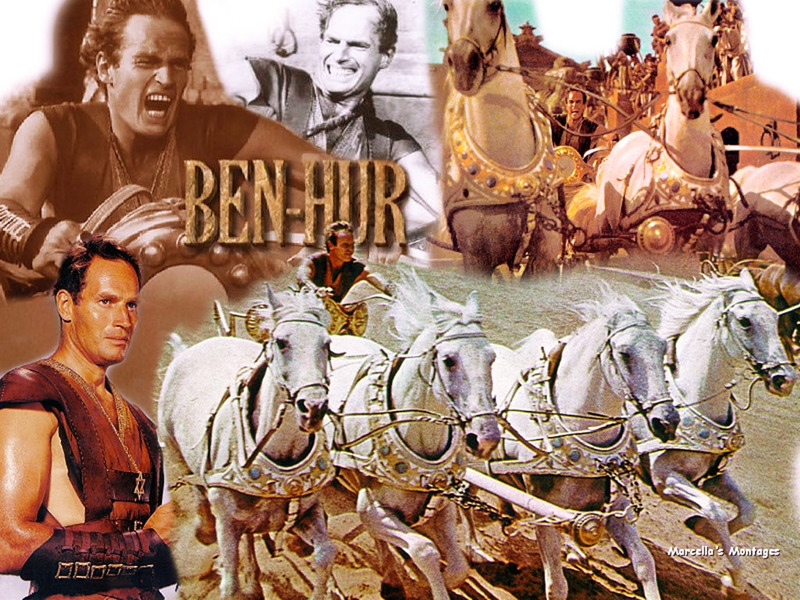 Ben Hur, to be directed by Timur Bekmambetov is slated for a February 2016 release date. 12 Years a Slave screenwriter John Ridely is penning the script with The Bible’s Mark Burnett and Roma Downey producing. Let the chariot races begin! Lady Anglophile….volunteering as a slave girl extra for the film. This entry was posted in Home Page Posts, Lady Anglophile Reviews & Other Bits and Bobs and tagged Ben Hur, Tom Hiddleston. Bookmark the permalink. It is going to be hard for anyone to replace Charlton Heston. His Judah was a big man and I like Hiddleston but can’t really see him in this. However I can’t think of anyone really to do it at this time. I have to agree that some classics are better left alone and this is probably one of them. I watch this film every time I see it being shown on TV. if it has to be done then I suppose they will choose whoever they want whether they fit it or not and let’s face it those of us raised on Heston’s portrayal will probably never see anyone new as being right. There is also the casting of the Stephen Boyd character though quite honestly there I can see it being much easier. We have an abundance of actors qualified to play such a part. I have to admit I thought about Richard but I also then thought that he could do the Stephen Boyd role. You know he likes villains and thinks that he is more dark than light and he just might do that part very well. He certainly needs to find a strong movie to do that will put him out there as recognizable. The play is fantastic and it will solidify his reputation in Britain but we already knew he had that ability> We just want him to do a film or play in the U.S. that will show him off in a really good way. Into the Storm was not bad for many things but it really did little for him. That is true of course but you know many remember Boyd’s role as much as Heston’s. I just think he might like the villain part more. Maybe Hiddleston and him together. I am not sure Hiddleston is big enough to take on Judah but that is just me because Heston is permanently set in my mind as him. Lets see who Hollywood wants. This is another role that fans should decide however not Hollywood. They always want bigger names you know. They should take a leaf from Peter Jackson and make sure you get exactly the right person for the role rather than just taking a big name.